How Bodybuilding Can Help You Manage Osteoarthritis! Weight loss is one of the first treatment recommendations by doctors. There are plenty of products available which will promote joint health. Osteoarthritis is a pain in the knees. Or in the hands, spine, hips... or any joint. Otherwise known as DJD (degenerative joint disease), osteoarthritis can lead to pain, swelling and reduced range of motion in your joints. Hands, Spine, Hips, Or Any Joint. Osteoarthritis is the most common form of arthritis affecting over 20 million people in the United States. It is characterized by the breakdown of cartilage, the tissue that absorbs shock in your joints. With this tissue worn down, the ends of your bones that meet at your joint may rub together damaging your joint over time. It literally is a pain in your joints. to your joints. Prior to age 45, men are more affected then women. After age 55, osteoarthritis occurs more frequently in women. [ Click To Join The Thread. ] 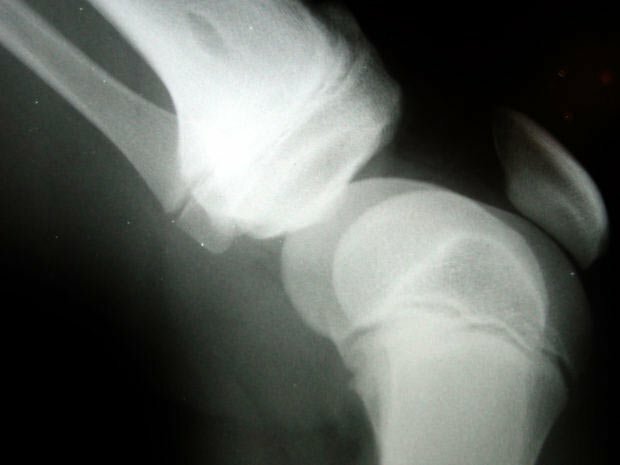 Arthritis - Anyone Have Experience With It? I have an arthritic right shoulder. Basically, it hurts most every day. I keep on lifting, fighting through the pain. Pain in the affected joints that may get worse later in the day. And pain and stiffness may be common after long periods of inactivity (sitting on a plane for hours for example). Osteoarthritis in certain parts of the spine may lead to neck pain or low back pain. In addition, bone spurs may develop over time. You may also notice swelling, warmth and creaking of the joints. 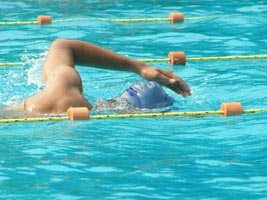 How Bodybuilding Can Help You Manage Osteoarthritis? Episode #4: Joint Mobility Workout! if they are overweight. Think about having a load of extra fat tissue weighing you down. Excess weight puts pressure on your joints. Luckily bodybuilding helps you manage your weight. Building muscle tissue will help you burn more calories at rest. And, you will burn calories while lifting weights and doing aerobic exercise. Remember, inactivity may make joint stiffness worse. If you have osteoarthritis in certain areas of your body, it makes sense to build the muscle around those particular joints. Take your spine for instance, if you build your erector spinae muscle group, you will be stabilizing your spine better. And, muscle pulls on surrounding bone tissue making that stronger as well. Exercise does something else that is helpful for those with osteoarthritis; it improves joint mobility, which will help prevent joints from "freezing up". Do avoid exercise that puts undue stress on the joints affected by osteoarthritis. (tell your physician first if you are on a blood thinner). Some studies indicate that taking 1,500 mg glucosamine and 1,200 mg chondroitin daily will help decrease the pain associated with osteoarthritis. [ Click here to learn more. ] Protecting Yourself With Joint Formulas. You can't help but start making changes to your diet when you are a bodybuilder. And, doing so will help you find your healthy weight and it could help minimize osteoarthritis pain. Fish oil (found in fatty fish such as mackerel, herring, halibut, lake trout and salmon or in omega 3 supplements) may help decrease the inflammation associated with osteoarthritis. Other anti-inflammatory foods include dark purple, blue or red berries (loaded in anthocyanins) and foods rich in choline (egg yolks, wheat germ, beef, broccoli, Brussels sprouts, peanuts). Know your body. When you have osteoarthritis, it is important to pay close attention to your body and rest it when necessary. 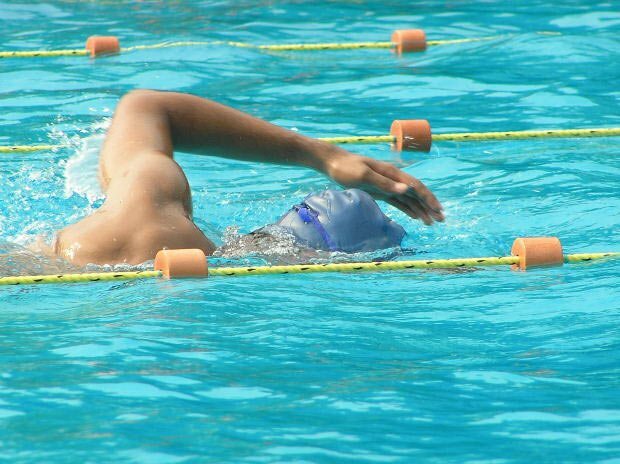 Paying attention also means switching to non-weight bearing exercise at times (swimming, running in the water). Paraffin wax dips may help people with osteoarthritis in their fingers. Non-steroidal anti-inflammatory drugs (NSAIDS) such as aspirin, ibuprofen and naproxen can temporarily help relieve pain. Cortisone can decrease inflammation when injected into joints. Hyaluronic acid (Synvisc, Hyalan) can sometimes help when injected into joints. Surgery - for those patients with severe osteoarthritis that doesn't respond to conservative treatment modalities. If you have osteoarthritis, fear not. This isn't a sentence for a sedentary lifestyle. In fact, you should keep on exercising. You should continue bodybuilding. Your body will benefit from stronger muscles, more mobile joints and a diet and supplement regimen that are all a part of bodybuilding.